ເຈົ້າຢາກໄປຍີ່ປຸ່ນບໍ່?-Don’t you want to go to Japan? ຖ້າຫາກທ່ານໃດຂຽນໄດ້ຖືກໃຈກໍາມະການ ຈະໄດ້ຮັບປີ້ຍົນໄປກັບ ລາວ-ຍີ່ປຸ່ນ ຈຳນວນສອງໃບ ພ້ອມທັງຄ່າທີ່ພັກ ແລະ ບັດເຂົ້າຊົມງານເທດສະການຮູບເງົານາໆຊາດໂຕກຽວ ໃນເດືອນ ຕຸລາ ປີນີ້!! 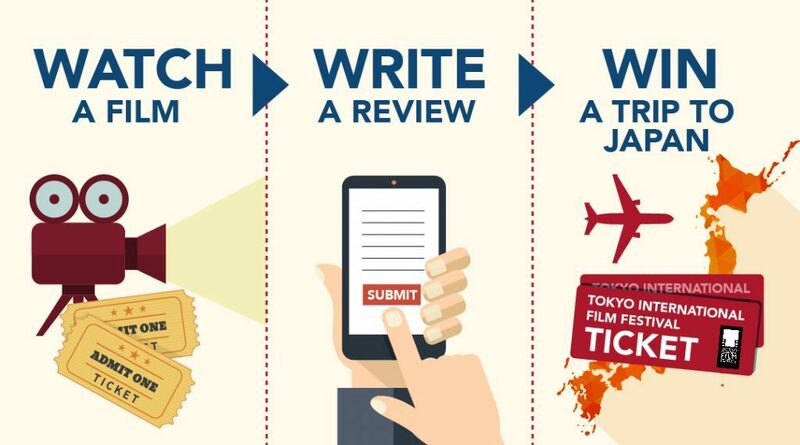 Watch one of the films at the Japanese Film Festival and submit your review to tell us what you think! One lucky entrant will WIN a trip to Japan and tickets to the Tokyo International Film Festival, including flights and accommodation. Full details are provided at each screening, please see Japanese Film Festival staff for more details on how to enter.